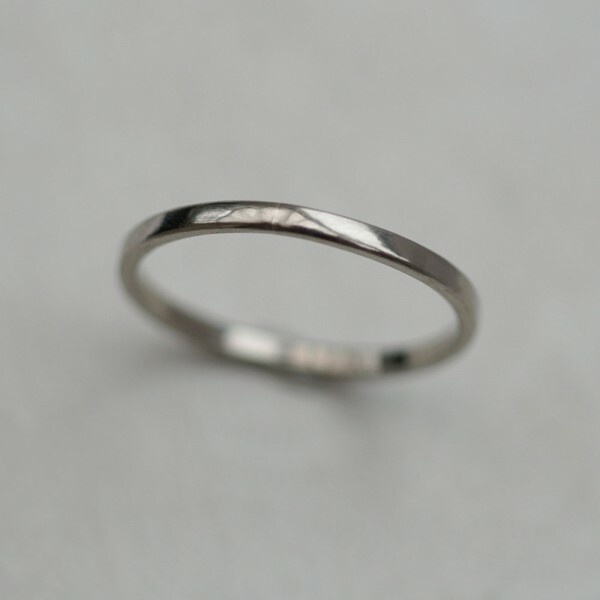 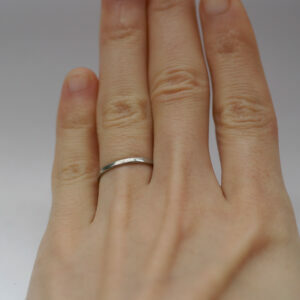 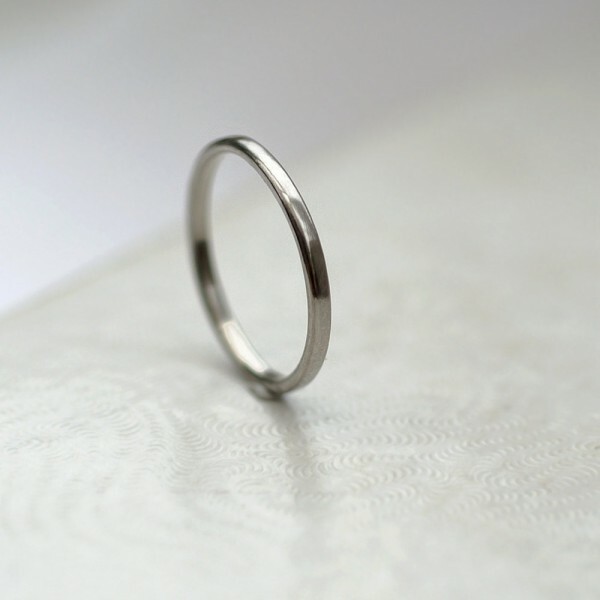 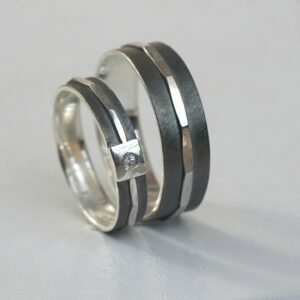 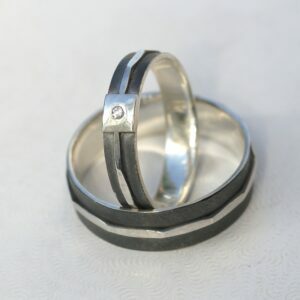 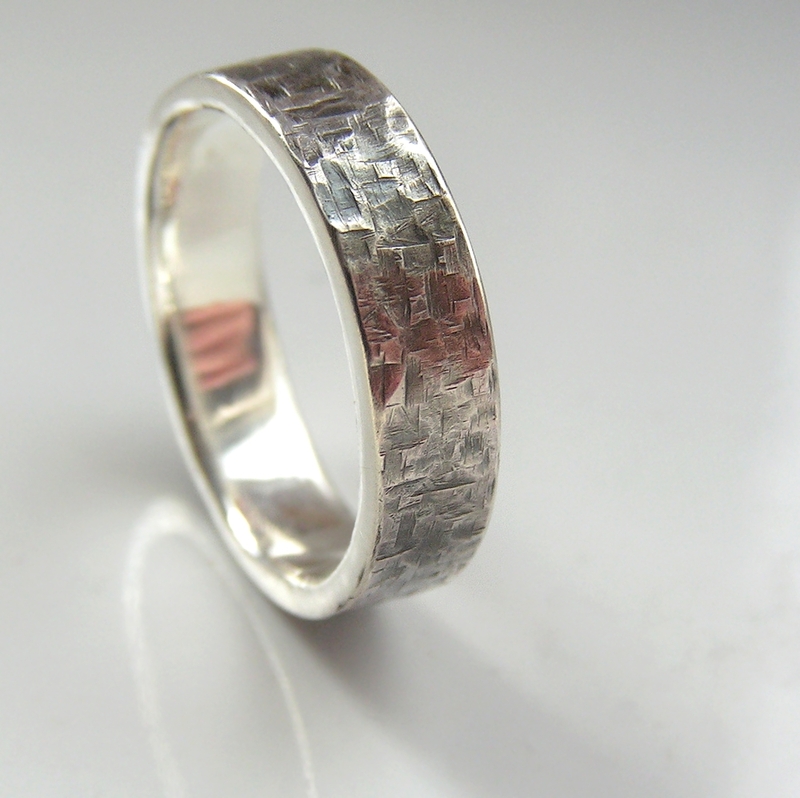 Thin and dainty women's wedding ring made of palladium (hypoallergenic white gold alternative). 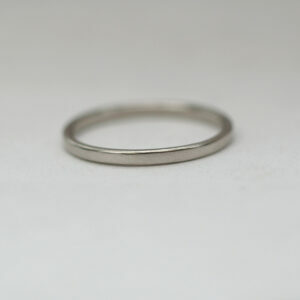 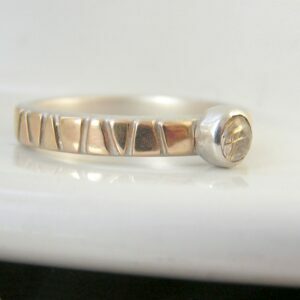 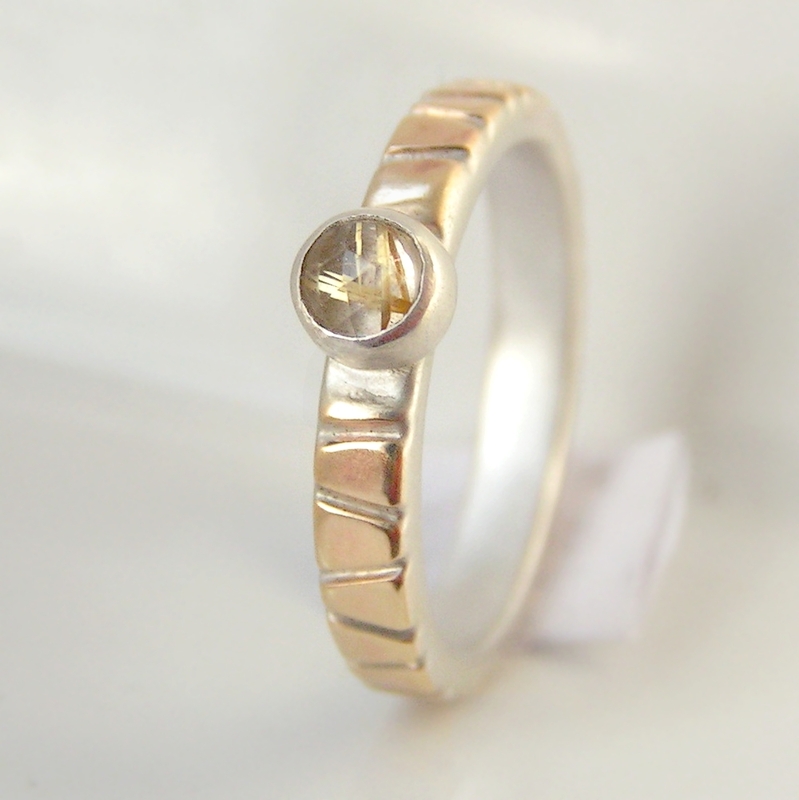 The ring is made from flattened 1.5mm round wire, hand forged to flat shape with rounded edges. All hammer marks are then smoothened and ring is polished to shiny finish. 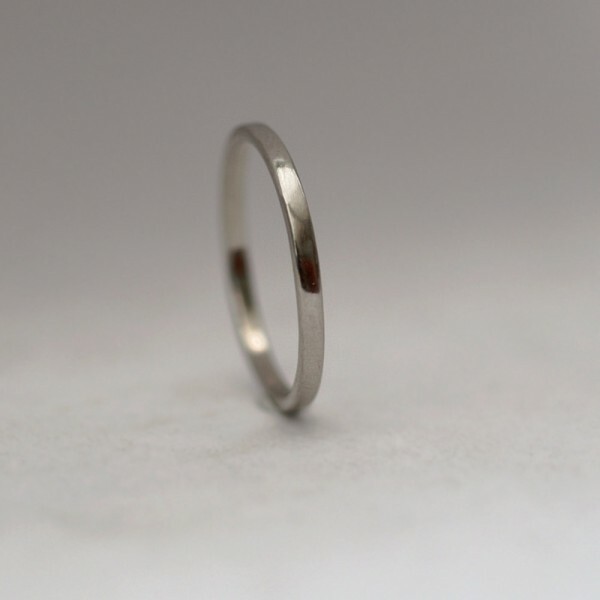 Palladium (Pd) is white metal from platinum group. Its color is very similar to platinum or rhodium plated white gold (cool white without yellowish tint), it doesn’t tarnish and doesn’t need rhodium plating. 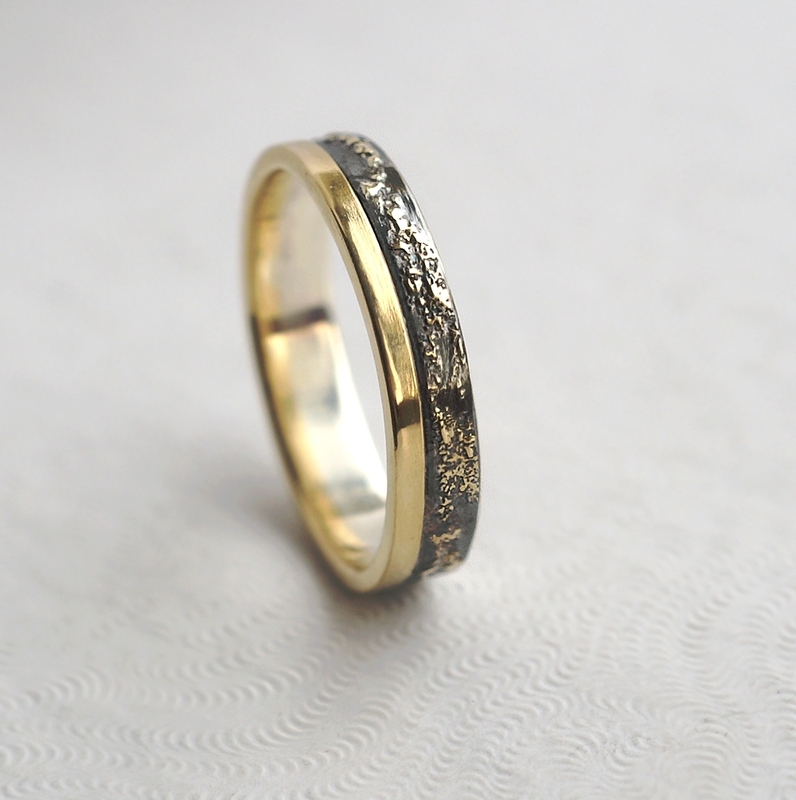 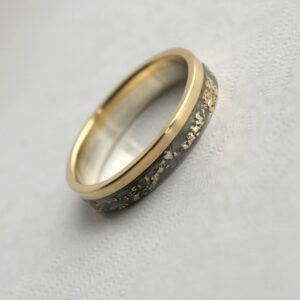 Weight is similar to lower karat gold (it’s not heavy like platinum) which together with durability makes it perfect and comfortable wedding ring. 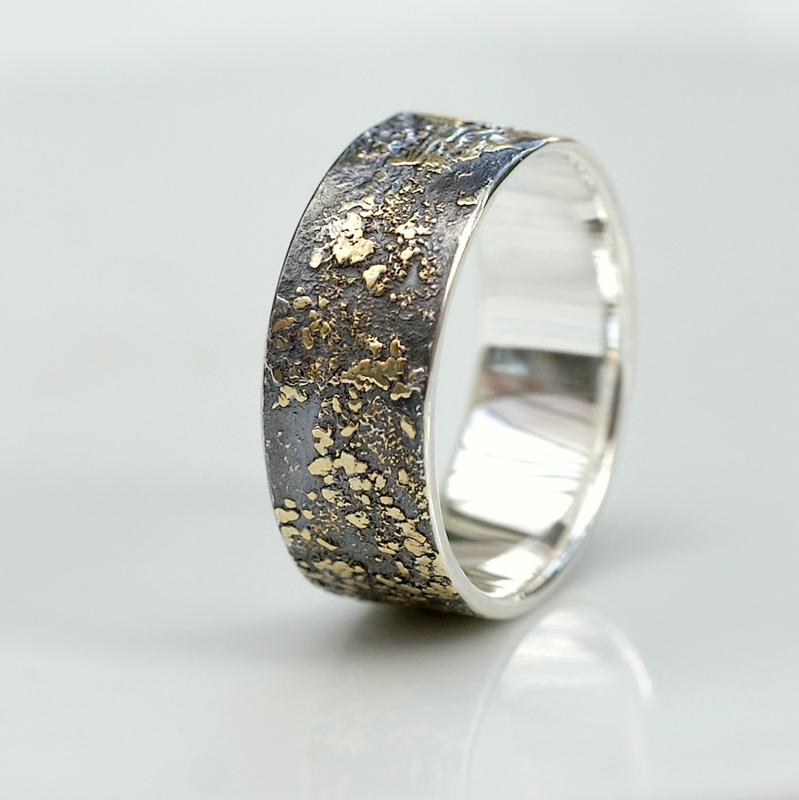 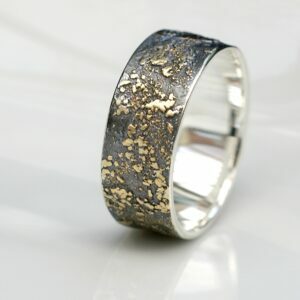 Fineness used for this ring is 950/1000 (95% pure). 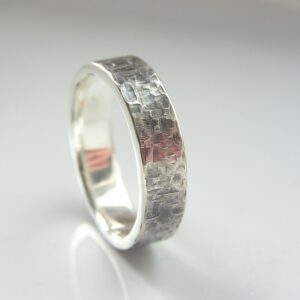 Palladium is naturally hypoallergenic metal, it doesn’t contain nickle as most of the white gold alloys.